HONEST ANSWERS – FAST SERVICE!!! "Being a business owner in a service industry like a hair salon, we are always using towels and the washer and dryer are in constant use on any given business day. There have been those times when the washer or dryer decided to go on strike and breakdown. In those moments of crisis I could always depend on Kerry and his Appliance Servicing to come to our rescue. He not only would take the call immediately or promptly return a call quickly but always managed to be there swiftly with his trusty repair knowledge and took care of our service needs so that our business would not have any down time and we could complete our day having the towels we needed to make our work day easier. I have also given his name to other clients who have used his service and they have been as satisfied as I have. If you want an Appliance Technician with knowledge, skill and amazing customer service, he is your man. I guarantee you won’t be disappointed…. in fact quite surprised that service such as this is rare and greatly appreciated." 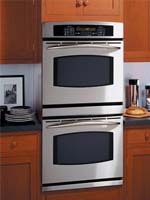 "I have been a very happy and satisfied customer of A-Appliance Repair Service for the past 10 years. Kerry always responds quickly and get's the job done right. Residentially I have used him to repair washer and dryers, ovens, stove tops and my refrigerator. Commercially, he has helped me with all manner of appliances. Kerry's pleasant personality, reliable and quality service sets him apart. I would highly recommend him to anyone. " Welcome to A~Appliance Repair Service! We offer a comprehensive range of repairs for all domestic, major brand appliances – such as Maytag, Whirlpool, Frigidaire, General Electric, etc. We also service some “boutique brands,” such as Thermador, Gaggenau, Dynasty/Jade and Dacor, Alliance Laundry, Broan, Crosley Group, Hobart as well as In-Sink-Erator disposals. We are committed to giving you HONEST ANSWERS AND FAST SERVICE!! 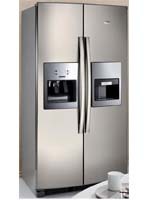 When your Refrigerator or freezer is down, you can potentially lose money on spoiled food! If your ‘fridge or freezer isn’t cooling, starting or just not working as well as it used to, A~Appliance Repair Service will take care of it! Our friendly, smart technicians are licensed and certified to repair all major brand refrigerators and freezers (see above.) Upon arriving at your home for the scheduled repair, they will quickly diagnose the cause of your refrigerator / freezer problem, give you a cost-efficient and competitive quote, get the unit repaired and have it back up and running in a timely manner. A~Appliance Repair Service technicians have the training and expertise to properly repair your gas or electric stove-top or oven, and are very experienced with newer electronic components for these appliances. Not having your stove-top or oven working is a real inconvenience when it comes to daily cooking for your family. After we schedule your service, our highly-trained service technicians will come to your kitchen, quickly diagnose the problem, efficiently repair it and your stove-top or oven will be like new in no time! When a dishwasher breaks down, doesn’t clean the dishes as well or stops working entirely, it’s certainly an inconvenience, but can also leak and potentially cause water damage to your flooring if not repaired quickly and properly. 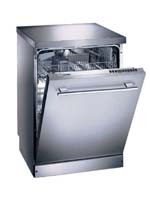 A~Appliance Repair Service’s technicians have the knowledge and expertise to repair all major dishwasher brands and models. Our courteous technicians will quickly assess the problem, and expertly service or repair your dishwasher for an affordable price. We understand that it’s a real hassle when you can’t do your laundry in your own home! If your major brand washer or dryer aren’t washing or drying your clothes that well anymore, or if they’ve stopped working completely, call A~Appliance Repair Service today! Whatever the repair issue, our licensed and certified Staff come to your home, efficiently diagnose the problem and properly service or repair your washer and dryer, so you don’t have to go to the Laundromat will all those loads of clothes – Uuugh! 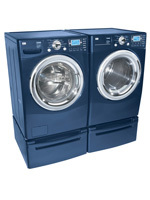 - We’ll have your washer or dryer running like a top in no time, and you won’t have to spend a lot of money on a costly new appliance.